October 16th is Ada Lovelace Day. A day that showcases women in engineering, maths, science and technology by profiling a woman technologist, scientist, engineer or mathematician on your blog. This year I’m writing about Elaine Miles, a researcher at the Australian Bureau of Meteorology, who I met through mutual colleagues over lunch one day. She has since become one of my go-to people whenever I require a crash-course in something. She awesomely let me interview her for Ada Lovelace Day. 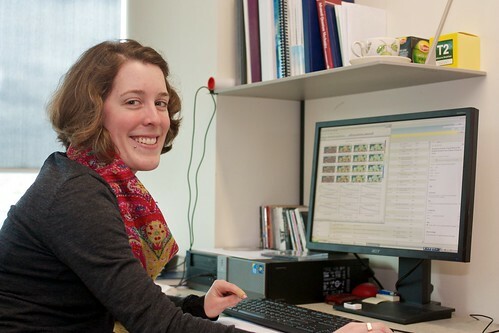 Miles is a physicist working at the Centre for Australian Weather at Climate Research (CAWCR), a joint project between the Bureau of Meteorology and the Commonwealth Scientific and Industrial Research Organisation (CSIRO), where she is investigating the use of dynamic models to predict sea level in the Western Pacific. Miles studied Applied Mathematics and Physics at the University of Melbourne. She attributes her love of maths to primary school, where she recalls being chastised by her teacher for attempting the subtraction problems further on in the workbook before they had been taught subtraction. She says she would always lament when another class ran over and cut into the maths lesson. Her love of maths originally led her to enroll in Electrical Engineering, but she didn’t like the black box thinking that engineering encourages, preferring to understand concepts from first principles. Completing a Bachelor in Applied Mathematics, she went on to do Honours in Physics, working on a project in art conservation, which it turns out is an extremely technical field. She built a laser interferometer using off-the-shelf parts (laser, CCD camera and a laptop) to monitor canvas artworks and detect the problems caused to art by changes in microclimate. After teaching English in Japan for a year, Miles returned to Melbourne where she began her PhD (Miles is not related to Dr Elaine Miles the glass artist). Miles says she wanted to be learning or developing new things (plus she had unfinished business in art conservation) and so a PhD was the logical progression. Her PhD focused on two areas: the science of paint drying (literally watching paint dry she says) and subsurfacing imaging. She had a focus on south-east Asia, where Western art production techniques are prevalent but unsuitable because of the different climate. Miles spent 3 months working with galleries in the Philippines where she used her own laser speckle interferometers to study artwork hanging in the gallery, in-situ. As far as she’s aware, studying art in-situ had never been done before. This work allows conservators to determine best practice and a course of action for storing and restoring works of art. With her PhD close to being submitted, Miles began work at CAWCR where she first worked on data assimilation of weather balloon observations into weather forecasting models. She then moved on to verifying rainfall prediction models and getting weather radar data assimilated into the model. For the last 10 months she has worked with the Pacific-Australia Climate Change Science and Adaptation Planning Program (PACCSAPP), where she investigates applying POAMA (Predictive Ocean Atmosphere Model for Australia), a dynamic, coupled ocean-atmospheric, multi-model ensemble global seasonal prediction model, to forecast global sea level anomalies 1-9 months in the future, specifically validating predictions with observations in the Western Pacific. This is the first time dynamic models have been used to predict medium-term sea level, and forms an extremely important part of helping the Pacific adapt to the immediate effects of climate change. As for the future, Miles looks forward to getting her PhD submitted, but would like to continue working with sea level modelling. 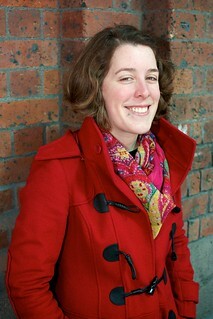 She hopes to start leading projects in Australia and around the world.